Alstom will build (at least) 38 Citadis trams for the German city of Frankfurt. The first units will be delivered to Verkehrsgesellschaft Frankfurt (VGF-FFM) in 2020. The contracts for this deal were signed today. The new LRVs will be known as ‘T-Wagen’. 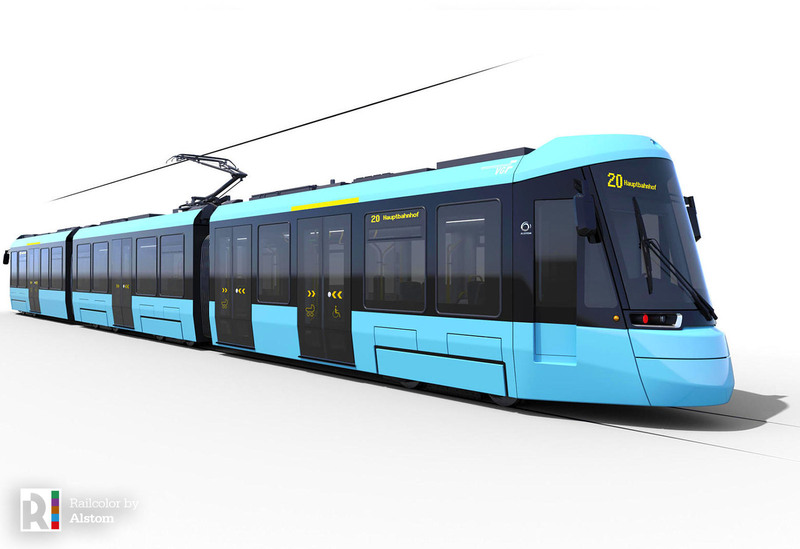 A ‘Citadis Frankfurt’ is 31,5 meter long and has four entry doors on each side. It is possible to add an extra 7,5 meter to each vehicle if necessary. The 100% low floor trams have a capacity of 197 passengers. It is possible to order an extra 15 units under the same contract.